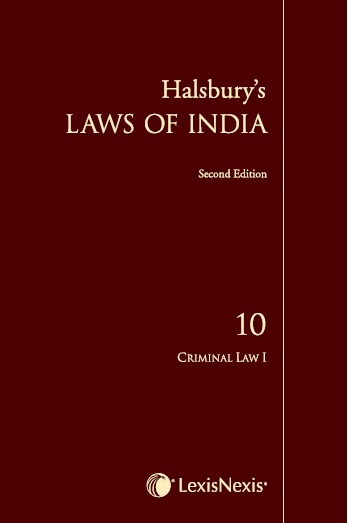 Halsbury’s Laws of India, Criminal Law-I (Vol. 10), presents a comprehensive discussion on the principles and concepts underlying Criminal law in India. This volume explores in detail, the basic framework of the criminal justice system as laid out in the Indian Penal Code 1860, Code of Criminal Procedure 1973 and Indian Evidence Act 1872 as well as in special legislations such as the criminal minor acts and the penal provisions in regulatory and social welfare legislations. It is a part of the Second Edition of the Halsbury series and the law stated in this volume is in general that in force on 02 November 2013, and subsequent changes have been incorporated wherever possible.